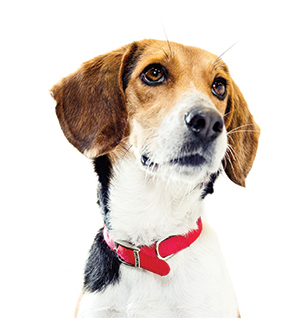 Bedbugs bite even if you sleep tight, but the pests now face an equally intractable, if cuter, foe: beagles. Red Coat Services, based in Brookhaven, is the only company in Georgia that specializes in employing four-legged workers to detect the pests. It then uses “remediation,” a nontoxic heat treatment, to eradicate them. “Beagles have a powerful nose and tenacity, and they’re compact enough to squeeze behind headboards,” says John Marratt, who owns Red Coat with his wife, Ashley. The two were training detection dogs for contraband when a hotel staffer requested help with bedbugs, which have made an itchy comeback thanks to global travel and reduced pesticides. “Atlanta is a transportation hub, and it’s easy for bedbugs to infiltrate luggage,” says John, whose company treats residential spaces and more than thirty hotel conglomerates. These dogs, he adds, are hard-nosed pros, not pets—so no “Snoopy dances” on the job. Strengths “Her energy level is most impressive,” says Ashley Marratt. Hobbies Like all working dogs, Eliza spends most of her time off sleeping. This article originally appeared in our May 2014 issue.